The first dish has got to be from the most recent travel that I’ve done, and that was a trip to Thailand last year, complete with 16-month old Sophie in tow. We had a fantastic time sampling all the wonderful cuisine, and for my birthday present, hubby gave me a ‘day off’ to attend the wonderful Phuket Thai Cookery School. The morning was spent doing a tour of the market where I sampled all kinds of weird and wonderful things (within reason as I was 18 weeks pregnant with Jack! ), and in the afternoon we travelled out to the cooking school for an afternoon of classes. 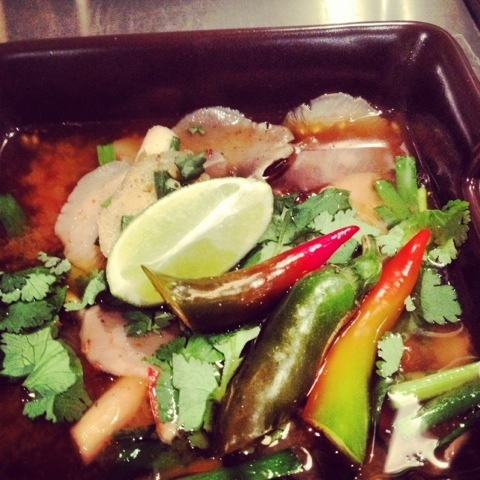 One of the dishes I cooked was Tom Yam Goong or Thai Hot and Sour Prawn Soup. Pretty much every restaurant you go to in Thailand has this on their menu. 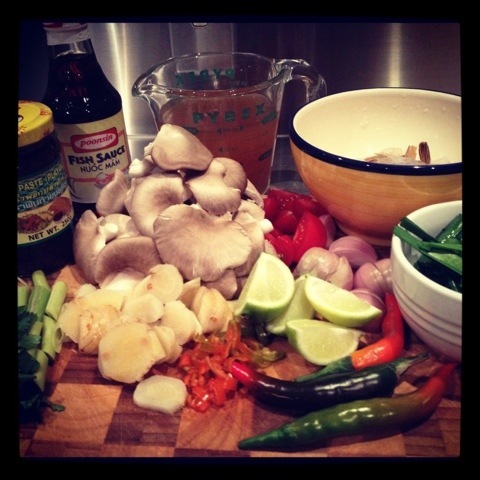 It’s super easy to make, all the work is in the preparation, and the finished product is reflective of the pillars of Thai cookery ‘hot, sour, salty and sweet’. 4. Ladle in the soup, serve sprinked with coriander. Previous Post What is Around the World in 80 Plates? One of my favorite soups…simple to make and full of flavor. I’m sure your cooking experience was fun.